Enter to win a bluetooth headset! Welcome to our monthly photo contest. 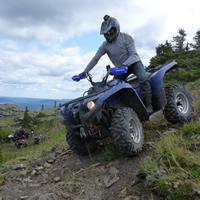 We're giving away some cool prizes this season for the best motorcycling, ATVing, dirt biking and boating photos! For the month of May, we're giving away an SMH10R Low Profile Motorcycle Bluetooth Headset and Intercom from Sena Technologies Inc. The deadline for this month’s contest is May 31, 2013, and the winner will be notified by email in June. 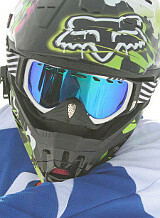 Email your photo and/or video to RidersWest. For more information, please visit our Hotshots page. 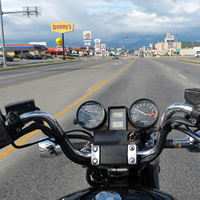 A couple from Cranbrook, B.C., experience some of the best motorcycling roads in the province on a journey to Shuswap Lake. 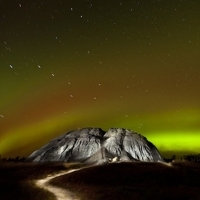 The new Portage Off Road Vehicle Club in Portage la Prairie, Manitoba, is working to preserve the Portage Sandhills as a popular riding area. 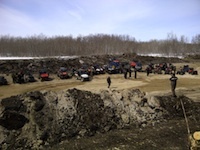 For the past 11 years on the third weekend of August, the population of the hamlet of Plamondon in Lac La Biche County has increased from 380 to between three and four thousand as mud runners make tracks to the Plamondon Mud Bog. Jared Buettner’s insane passion for adrenalin has landed him on sleds, ATVs and dirt bikes his whole life. 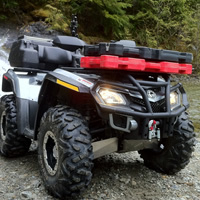 Tired of jerry cans leaking gas all over your ATV and slipping off partway into your ride? Then you need RotoPax Fuel Packs. 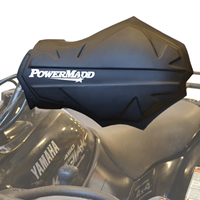 The SG1 handguard from PowerMadd in Wyoming, Minnesota, is a soft handguard that is constructed of lightweight closed cell foam. A crowd of nearly 40,000 spectators converged on Sam Boyd Stadium in Las Vegas on May 4, 2013, to watch big-name riders like Ryan Dungey, Davi Millsaps, Ryan Villopoto, Chad Reed and Justin Barcia vie for the AMA World Championship title. 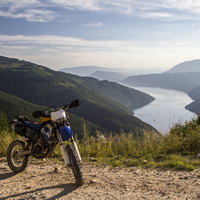 Steve Shannon, 27, is a photographer and an off-road racer whose professional portfolio includes the International Six Days of Enduro (ISDE), the Red Bull Romaniacs and Xtinction.